Co-working startup WeWork has now taken on another $1 Billion in investment from Softbank this time coming in form of a convertible note for the startup which has also reported good growth with $422 million in revenue for the second quarter with a $1.8 Billion annual run rate based on June's revenue. There are now 268,000 members on its co-working network more than doubling the previous figure of 128,000 as of Q2 last year. Being on expansion mode, WeWork is still taking on losses with $723 million lost in the first half of the year on about $764 million of revenue relating to heavy capital expenditures as the company takes on more office spaces buying up locations in the process which take time before profitability. 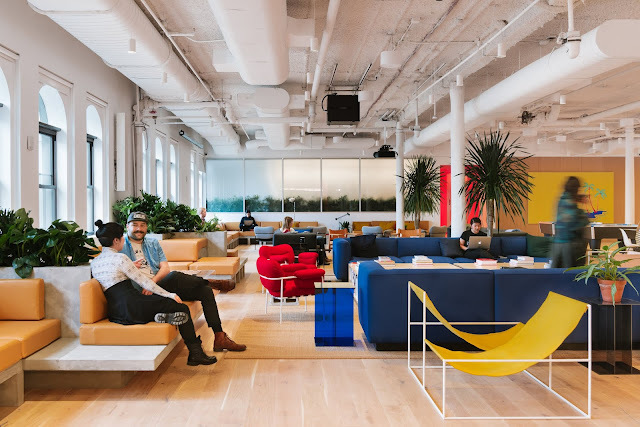 Occupancy rates across its 287 locations now stand at 84% up from 78% as of last year with average annual revenue per member decreasing to $6,641 from $7,022 last year which is attributed to a growing presence in less-expensive markets as per WeWork's CFO Artie Minson who also notes of its revenue count per user on a constant city basis as being on increase. This investment from Softbank brings the total raised by WeWork till date when summing both equity and debt financing to just over $9 Billion marking the New York headquartered startup which counts Softbank as a major backer across previous rounds as the most funded and leading firm in the co-working space. WeWork has expanded into several regions as it doubles down on growth in other markets having made 3 acquisitions this year with its Chinese subsidiary taking on $500 million in funding just recently to finance its rapid expansion in the region.